Product prices and availability are accurate as of 2019-04-01 01:08:01 EDT and are subject to change. Any price and availability information displayed on http://www.amazon.com/ at the time of purchase will apply to the purchase of this product. 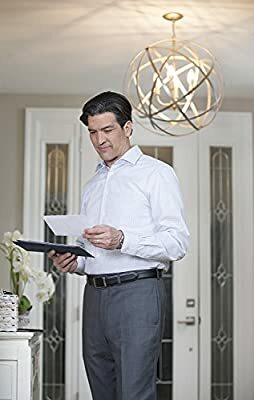 Philips B11 Decorative Candle LED light bulbs are made to be seen with a warm glowing filament that shines with 300 lumens of soft white dimmable light, equivalent to 40-watt incandescents with 80% less energy use. 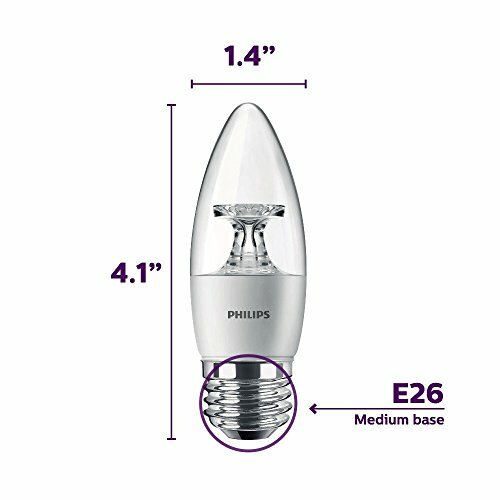 These bulbs standard (E26) medium base fixtures. Philips LED dimming is flicker-free, silent, and tested work with more dimmer switches than any other LED on the market. 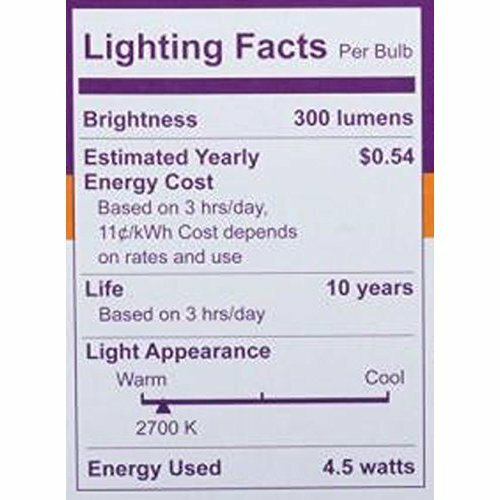 The light dims smoothly from 2700-Kelvin down to a soft glow with greater clarity than traditional incandescent light bulbs. These best-in-class, Energy Star Certified Philips LEDs provide steady, natural lighting at 1/4 of the energy of incandescents, 1/2 the energy of halogens and with 10X and 4X the lifespan respectively. Philips LEDs are mercury-free so they don't contribute to harmful hazardous waste. 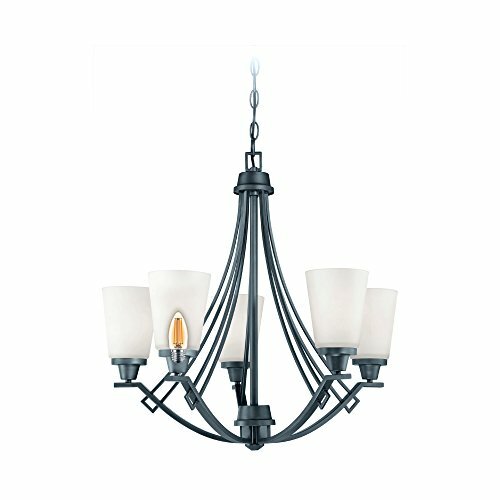 With a medium (E26) standard base, these decorative bulbs can be used in any standard indoor lighting fixture. Use these decorative bulbs in exposed fixtures, hanging and pendant lamps, and string light fixtures where steady ambient mood lighting is desired. Not for use with Philips Hue products. This pack of 12 B11 Philips LEDs comes with a 10-year warranty. Each bulb is expected to deliver a lifetime of up to 25,000 hours, saving you the cost and hassle of frequent bulb replacement. 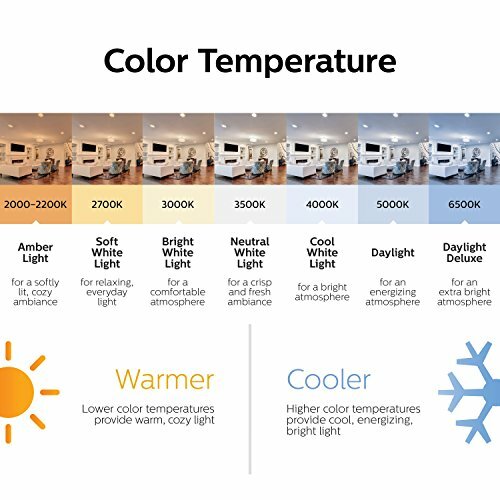 COMFORTABLE LIGHT: Our products meet strict test criteria including flicker, strobe, glare and color rendition to ensure they meet EyeComfort requirements. 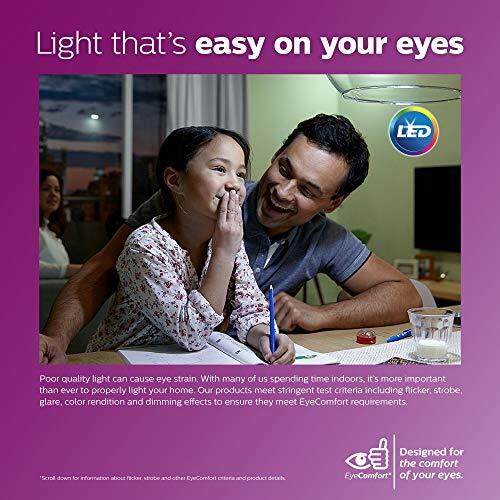 Switch to Philips LED, light that's designed for the comfort of your eyes.